Garda Síochána Ombudsman Commissioner Kieran FitzGerald, is to be re-appointed for a second five-year term by the President of Ireland, Michael D. Higgins. Mr FitzGerald, who was left wheelchair-bound after suffering a fall on holidays in Spain last June, first became a Commissioner in December 2011. The Garda Síochána Ombudsman Commission (GSOC) is an independent agency, set up in 2007 which deals with matters involving possible misconduct by members of the Garda Síochána, in an ‘efficient, effective and fair manner’. 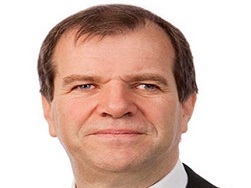 Mr FitzGerald, who earned a Doctorate in Governance in 2014 from the School of Law at Queen’s, is a former award-winning journalist with RTÉ where he was a researcher, reporter and producer for 15 years (1985–2000). While there, he worked in both radio and television on The Late Late Show and on flagship current affairs programmes Prime Time and Liveline. Between 2000 and 2006 he worked as a self-employed consultant, offering strategic advice in relation to policy development and the design and implementation of communications strategies, specialising in environmental issues. Then, in 2007, he was appointed Head of Communications and Research for the GSOC when the agency was first established. Last June, after sailing with friends from Dublin to Northern Spain, where he was to meet up with his wife, Evelyn, Mr FitzGerald fell off a wall after a fainting episode. The father of one from Glin, Co Limerick who had been living in Dublin, sustained spinal injuries which resulted in him being placed in an induced coma in La Coruna for several weeks before he was flown by air ambulance back to Ireland in early July since when he has been recuperating at the National Rehabilitation Centre in Dun Laoghaire. Mr FitzGerald’s sister, Louise, told the Limerick Leader that her brother was hoping to return to work next year. "He has a very high-level injury, but his mind is as sharp as ever," she said. “He is delighted to be re-appointed to the GSOC and is looking forward to going back to work as soon as possible in 2017,” she added. A former chair of the Dublin Broadcasting Branch of the National Union of Journalists, Kieran is currently Chair of the Executive Committee of the British and Irish Ombudsman Association.